Is there anything wrong with being single? Well, when i asked my friends they assured me how there was everything wrong with that question. Am living a single life and seriously enjoying it’s benefits which include lots of “me” time, hanging around with the boys and no phone calls to ask me why i didn’t wish someone’s daughter a goodnyt and a goodmorning. Most of my peers have tormented me with the questions “Why don’t u get a girlfriend?”, “Don’t you miss companionship?”. One thing they don’t get is that being single right now allows me to reflect on the qualities I desire in that future girlfriend. In our Uganda, the pressure for the guys is a bit calm but for girls the belief is that they have to get married before the age of 30. I have realised that am now part of the minority and i get a lot of silly excuses when i call them for hangouts and drink-ups. It’s better to be in a relationship later or none at all than to be pushed by social convention and desperation. I know enough people who just stay in relationships because the biological clock is ticking without thinking about the chemistry and the commitment that goes with it. You should get someone who will love you as you love them, someone who gives as well as takes, someone who compliments and completes you as a whole human being, someone who knows your weaknesses inside out and doesn’t constantly nag you. It’s a two way street and it takes effort on both sides but it’s a heavy investment so do invest wisely. You get one life, so try to spend it wisely……with someone who means something to you. So i believe finding the right person to bond with your life is something special and don’t do it with whoever comes along. And single life is simply what it takes to get to that person. 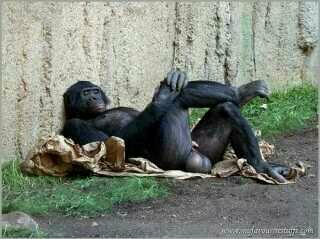 So please don’t rub it in my face in this coming month of Valentines coz i’ll be chilling like this guy below watching football. This entry was posted in Bachelorhood. Bookmark the permalink.